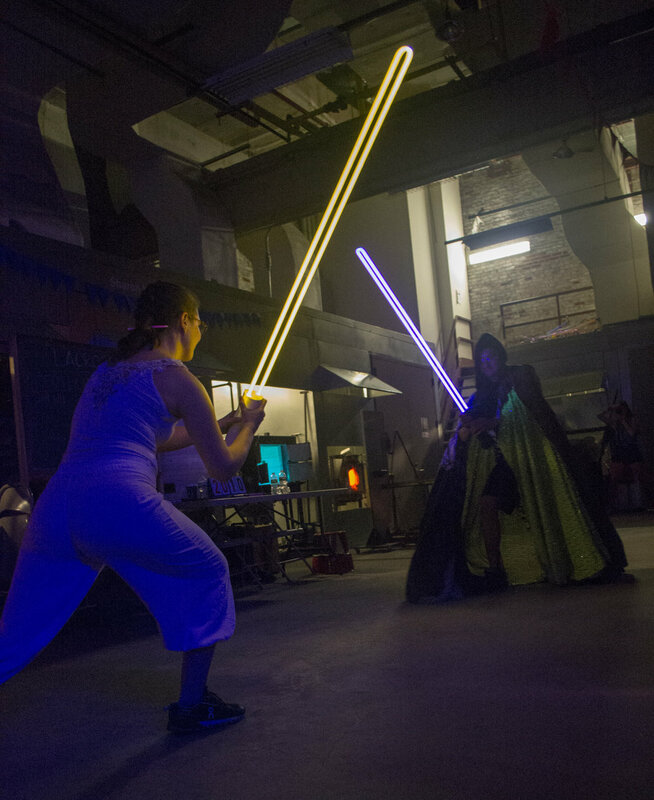 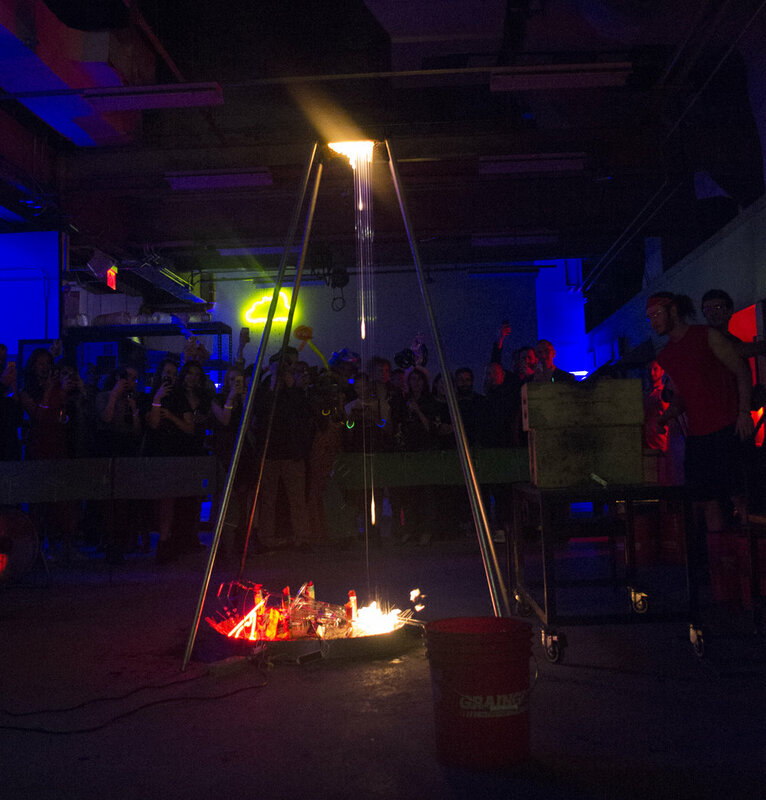 An afterparty performance done at Urbanglass NYC featuring a sports theme. 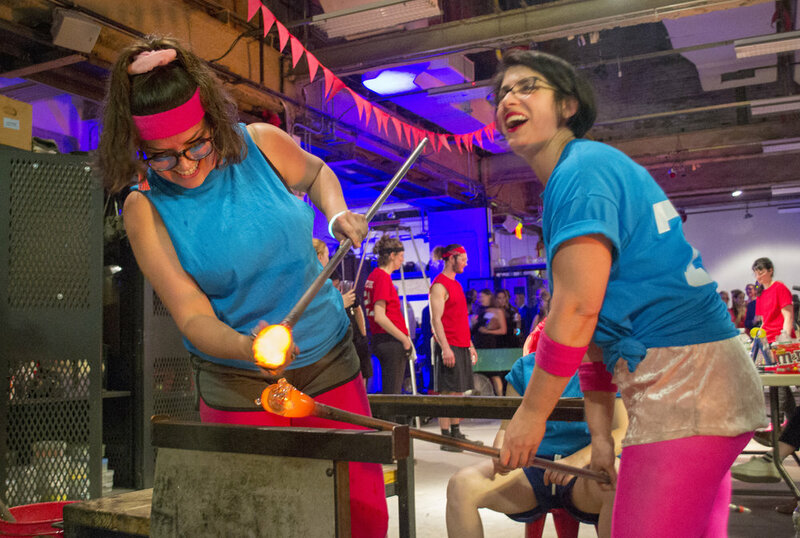 Games satirize the glassblowers desire to achieve technical perfection while simultaneously providing them with unique challenges in a festive, and competitive atmosphere. 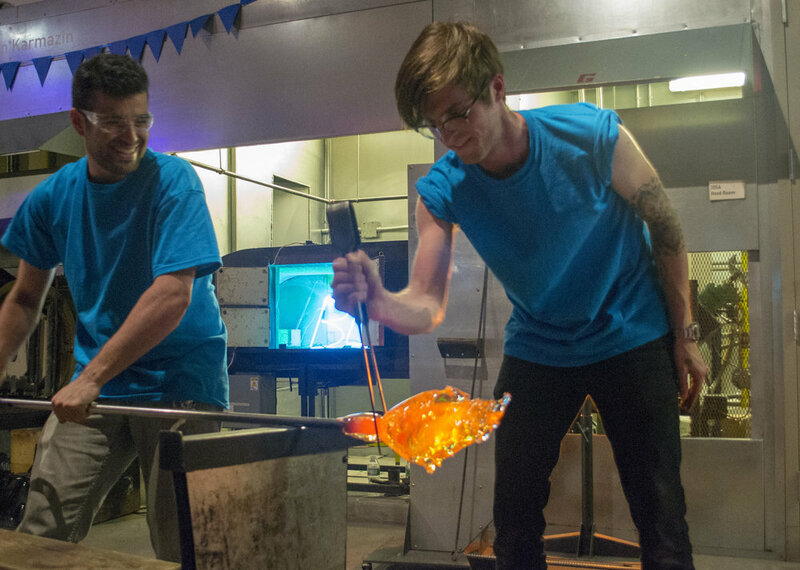 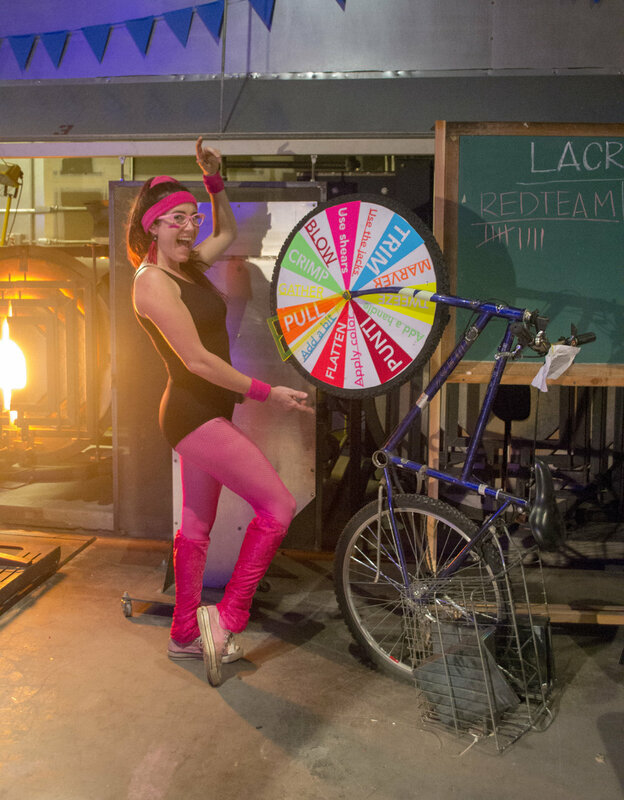 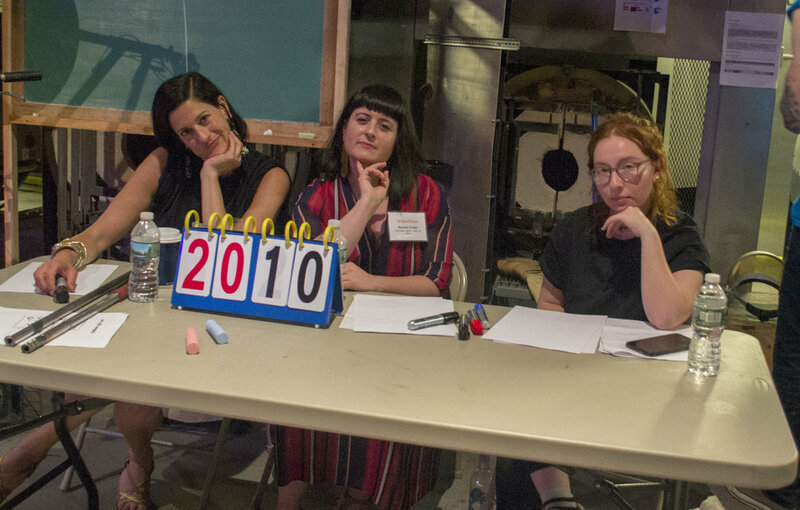 A hot glass performance featuring sports, science, mass media and nerds. 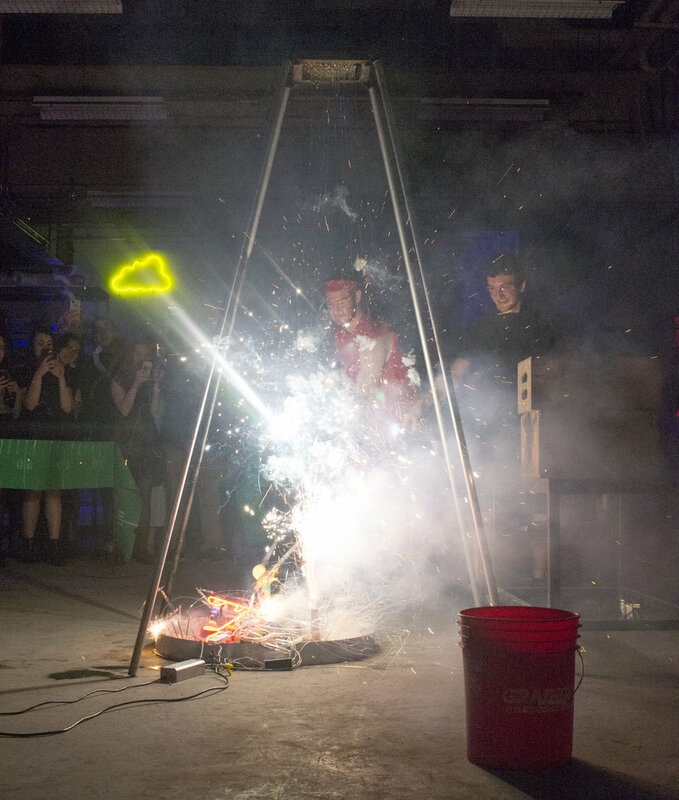 Jocks and science geeks collide in this chaotic, overloading performance with a media smashing finale.